In its seven season run, the sci-fi/fantasy series Buffy the Vampire Slayer was responsible for launching the careers of a number of its stars, including Alyson Hannigan, Nicholas Brendan, Charisma Carpenter, David Boreanaz, and Julie Benz, among others. A number of future famous faces stopped by the Hellmouth, too. You might recognize him as the first-ever person killed on Buffy—in the pilot’s cold-open, by "damsel in distress"-turned-vampire Darla. 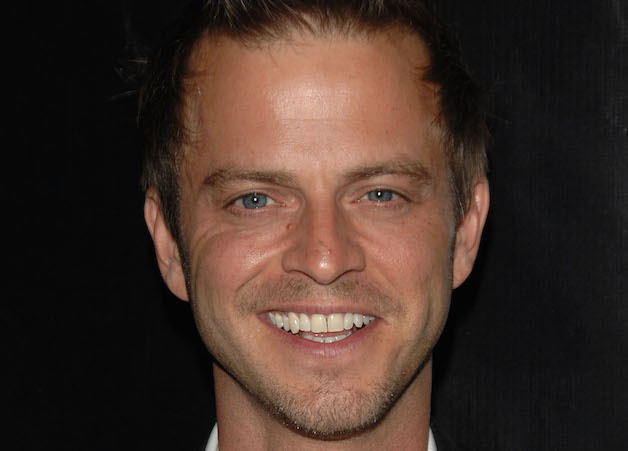 You might also recognize Carmine Giovinazzo from his role on CSI: New York; he played Danny Messer. In "Out of Mind, Out of Sight," Clea Duvall played Marcie Ross, a student who feels so invisible she actually becomes invisible—and also goes crazy, setting her sights on popular girl Cordelia Chase. She later reunited with Buffy star Sarah Michelle Gellar in The Grudge, appeared in the Oscar winning film Argo, starred in the second season of American Horror Story, and appeared in Lifetime's The Lizzie Borden Chronicles, The Newsroom, and Better Call Saul.. 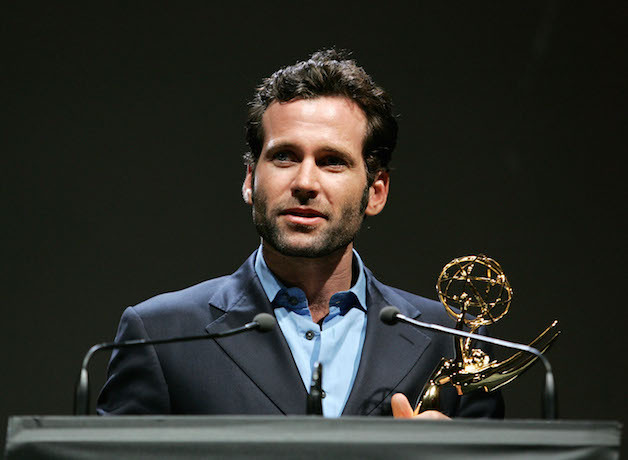 In his first on-screen role, Eion Bailey played Kyle DuFours, a Sunnydale High student, who—along with four other students, including Xander—is possessed by the spirit of demonic hyenas. In one memorable scene of "The Pack," the group—minus Xander—kills and eats Sunnydale High Principal Bob Flutie. Bailey later appeared in six episodes of HBO’s Band of Brothers, had a 10-episode arc on ER, and starred as August Booth on the hit ABC series Once Upon a Time. And, oh yeah, he won a Daytime Emmy. In “Reptile Boy,” Jordana Spiro played Callie Anderson, a student at Kent Preparatory School, who was offered up as a sacrifice to a demon by a fraternity alongside Buffy and Cordelia. 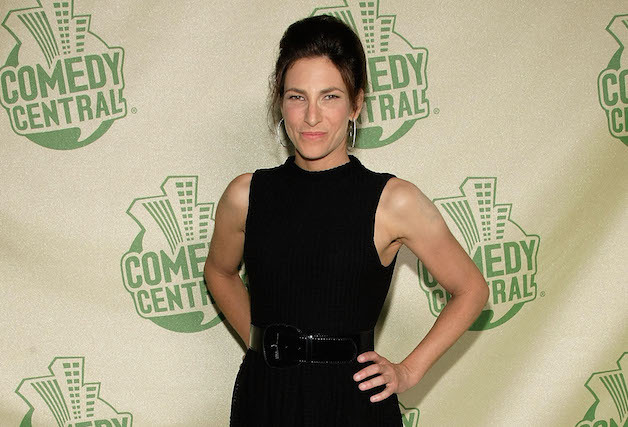 Spiro, who had just three screen credits to her name before she appeared on Buffy, went on to star in the TBS series My Boys and had an arc on CBS' The Good Wife. Wentworth Miller played Gage Petronzi, a member of the Sunnydale High Swim Team who becomes a Gill Monster, in the episode “Go Fish.” It was his first on-screen role. Later, he appeared in a pair of Mariah Carey music videos, starred in the TV series Prison Break and The Flash, and appeared in films, including Underworld and Resident Evil: Afterlife. Shane West had a number of bit parts on other shows, including Boy Meets World and California Dreams, before he booked the role of Sean Dwyer in “Go Fish." Look for him in the scene where the swim team is in the sauna: He's the one who tells Xander that the steroids the swim team is taking—which the coach has laced with fish DNA to improve the swimmers’ performance (and is unknowingly turning them into sea monsters)—are in the steam. 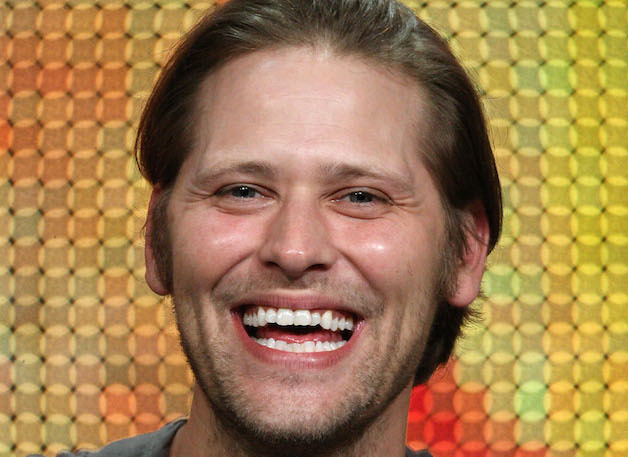 After Buffy, West starred in A Walk to Remember and on the TV series ER, Nikita, and Salem. 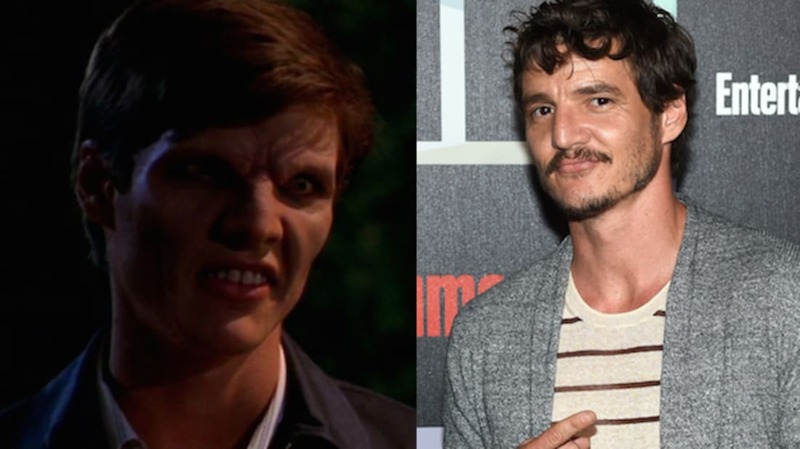 Before he was getting his skull crushed as Oberyn Martell in Game of Thrones, Pedro Pascal was Pedro Balmaceda, and he played Eddie, a potential friend for Buffy, in “The Freshman.” In a Reddit AMA, Pascal explained that his character was “kind of [Buffy’s] first friend in college, or she finally meets a nice person that's in the same boat as her. And unfortunately I am turned into a vampire by the head campus vampire, and Buffy is forced to kill her first college friend. Or her first new college friend.” It was one of his first jobs out of college, which Pascal said “made my sister and friends very very proud.” Pascal has also appeared in The Adjustment Bureau, on The Mentalist, and this August, on Netflix's Narcos. 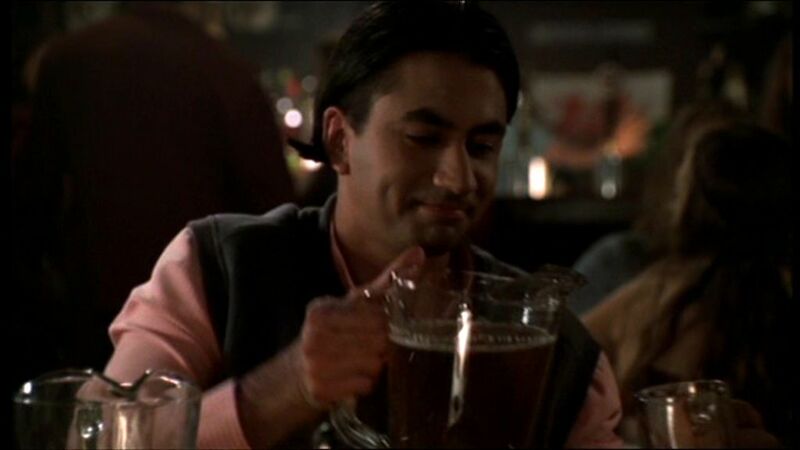 Harold & Kumar star Kal Penn’s third screen credit was a role as a stereotypical college guy—i.e., one who loves beer—in “Beer Bad." 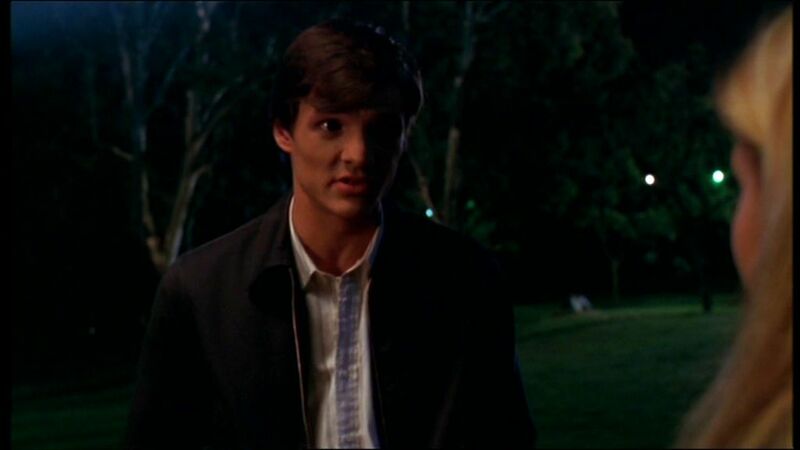 He played Hunt, a UC Sunnydale student who would go with his friends to a local pub to drink pitchers. One night, they entice Buffy to join them, and when they drink the Black Frost beer—which the pub's bitter owner, who is sick of being mocked by students, has put a spell on with the help of his warlock brother-in-law—they temporarily revert back to cavemen (and a kinda-cavelady, though Gellar doesn't get the full-on Neanderthal makeup), wreaking general havoc and setting the pub on fire. Not content with having just one role in the Buffyverse, Penn also appeared on the Buffy spin-off Angel; he played “Brain Man” in “That Vision Thing,” the second episode of the third season. Penn also worked with Buffy actress Alyson Hannigan again on an episode of How I Met Your Mother. Most recently, he appeared on CBS' Battle Creek as Fontanelle White. Amy Adams had appeared in the movie Drop Dead Gorgeous and had a number of guest-starring roles on other TV shows when she guest-starred in the Buffy episode “Family,” but was by no means a household name. Adams played Beth, a cousin of Willow’s girlfriend (and fellow witch) Tara, who comes to Sunnydale with Tara’s father and older brother Donny. They all seem pretty OK at first, but it turns out they're not so nice at all: They're there to bring Tara home, claiming that on Tara's 20th birthday, she’ll suddenly become evil thanks to some demonic heritage. (Spoiler alert: Tara's not a demon.) Memorable Adams line: "I hope you'll all be happy hanging out with a disgusting demon!" No doubt soap fans knew who Amber Tamblyn was when she played Dawn Summers' best friend Janice in the season six episode "All the Way"—she had played Emily Bowen/Quartermaine on General Hospital for six years. But Tamblyn wouldn't become really famous until she starred in the hit adaptation of YA novel, The Sisterhood of the Traveling Pants. The actress also appeared with Gellar in The Grudge 2, and had arcs on House MD and Two and a Half Men. In just her second on-screen role—her first was “Gum Chewing Girl” on an episode of 8 Simple Rules—Rachel Bilson played Colleen, a potential Slayer, in the episode “Dirty Girls.” Xander has a very saucy dream featuring Colleen and Caridad, another potential Slayer. Bilson got her big break playing popular girl Summer Roberts in the Fox series The O.C. that same year. Now known for creating, writing, and starring in The Guild and playing Penny in Dr. Horrible’s Sing-Along Blog, Felicia Day had just eight screen credits to her name when she played Vi, a potential Slayer, in eight episodes of the seventh (and final) season of Buffy.